On the flip side, investors in marijuana businesses could see handsome profits. Investors in the legal marijuana trade have always been taking a huge risk, largely because the plant is illegal at the federal level, and therefore assets and profits are vulnerable to government seizure. Beyond that, though, the marijuana industry has long been heavily fragmented. Regulations vary from city-to-city, and the majority of the market at this juncture is comprised of mom-and-pop operations. If that shifted to become a smaller number of larger businesses, that could give investors incentive and a clear path to profits. Still, if the costs become unattainable for the average consumer, there is concern that legal operations won’t be able to keep pace with the black market, which will be problematic for everyone on numerous levels. If the tax rate is too high and only large cannabis businesses have any real shot at success, consumers will flock to the cheaper black markets, which will deprive the state of tax revenue and legitimate businesses of profits. The 2016 Marijuana Business Factbook indicates the average startup of a dispensary in the U.S. is $325,000. This is almost exclusively backed by the founders’ savings and personal debt. Making matters worse for smaller operations is that if anything goes wrong (fire, robbery, other losses), cannabis businesses will have a difficult time obtaining bankruptcy protection, per a new memo from the Justice Department, citing federal marijuana law. Existing and prospective cannabis entrepreneurs should carefully consider these barriers to entry and discuss their marijuana business plans with an experienced cannabis attorney. 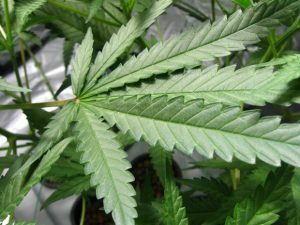 previous Previous post: Why did Trudeau scrap July 1 legalization date? next Next post: Where’s the Justice?